PART INSPECTION SYSTEMS by Programmable Orienting Systems, Inc.
POSI inspection systems are custom systems for inspecting parts for any type of defect that can be detected visually. All systems are designed using high quality machine vision cameras. The design philosophy is “if there is any question, reject the part”. In keeping with this philosophy the systems are designed to require a positive action to accept a part. Thus if there are any failures anywhere in the system no bad parts could be accidentally accepted. POSI inspection systems can be stand alone systems or they can be incorporated into your production equipment. 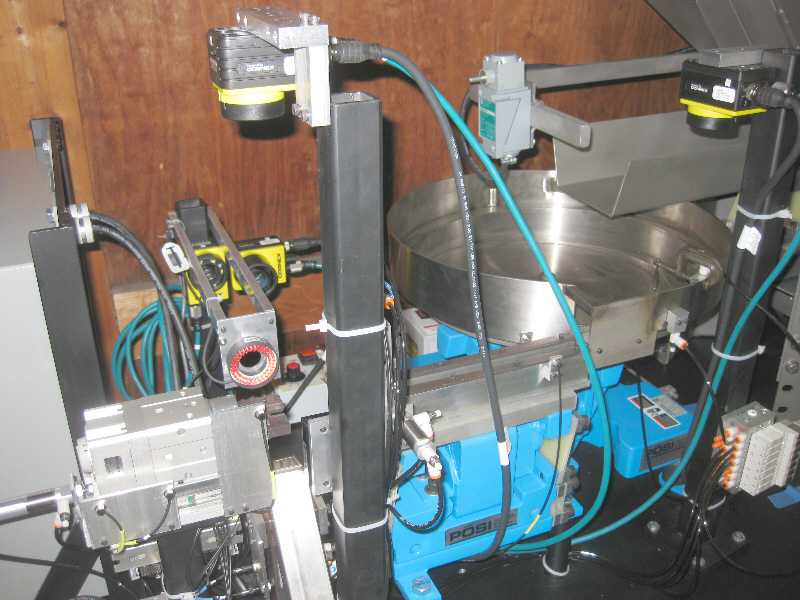 These systems, like POSI programmable feeders, can be designed to accommodate a range of parts. The system configuration is dependent upon the parts to be inspected, the inspection requirements, the desired inspection rate and other customer requirements. Sent us your requirements and samples of your good parts and typical defects and we will be happy to show you what we can do for you.